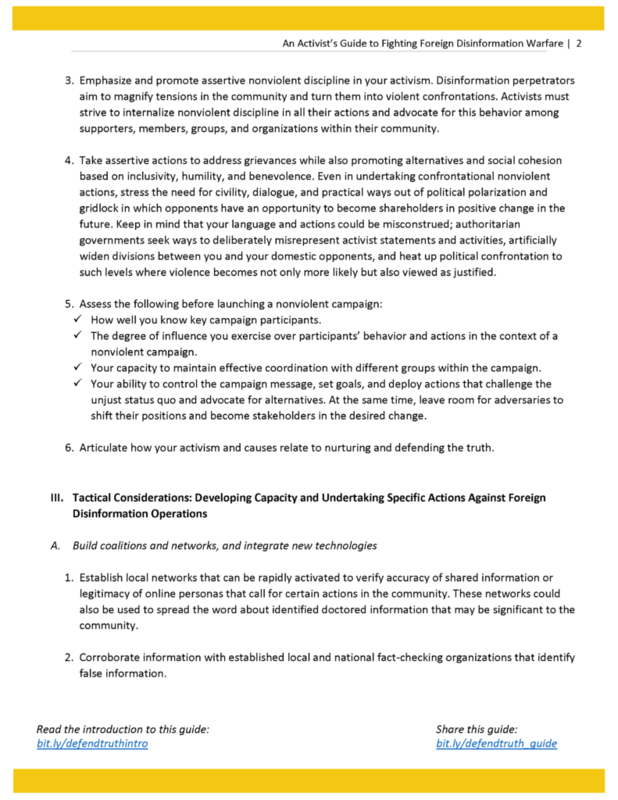 Activists may feel that their actions are small and local and thus not of concern to other countries. 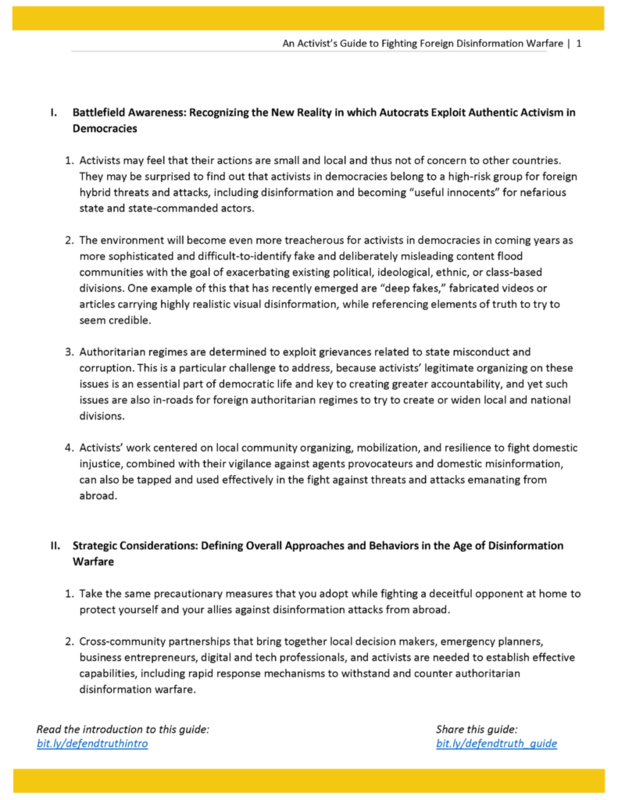 They may be surprised to find out that activists in democracies belong to a high-risk group for foreign hybrid threats and attacks, including disinformation and becoming “useful innocents” for nefarious state and state-commanded actors. 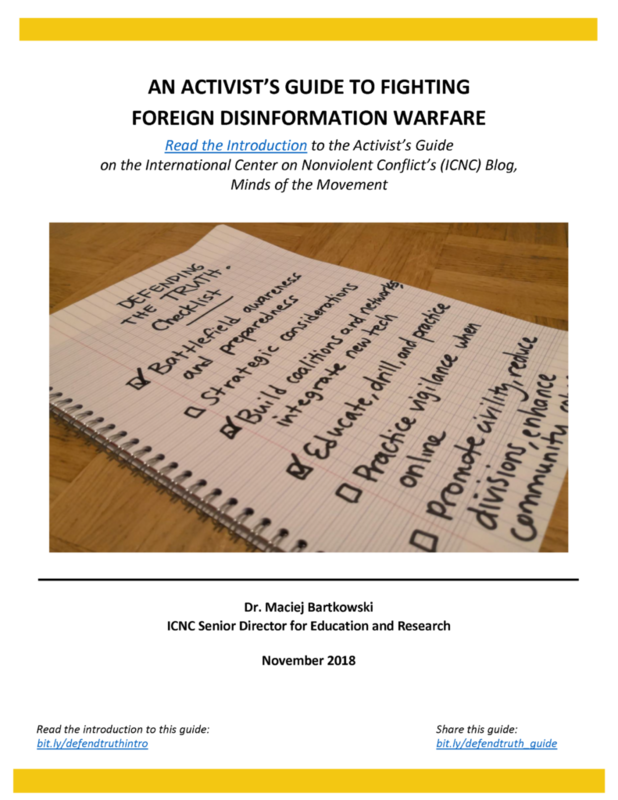 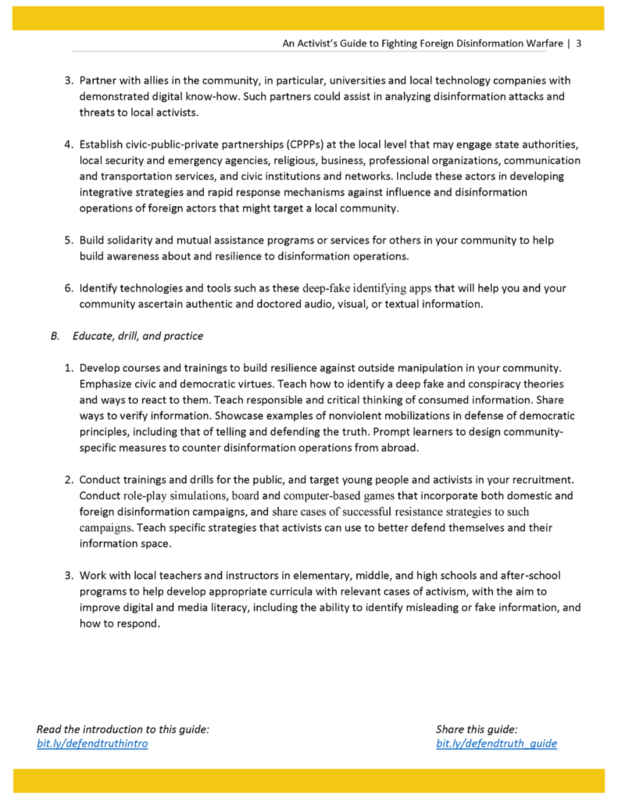 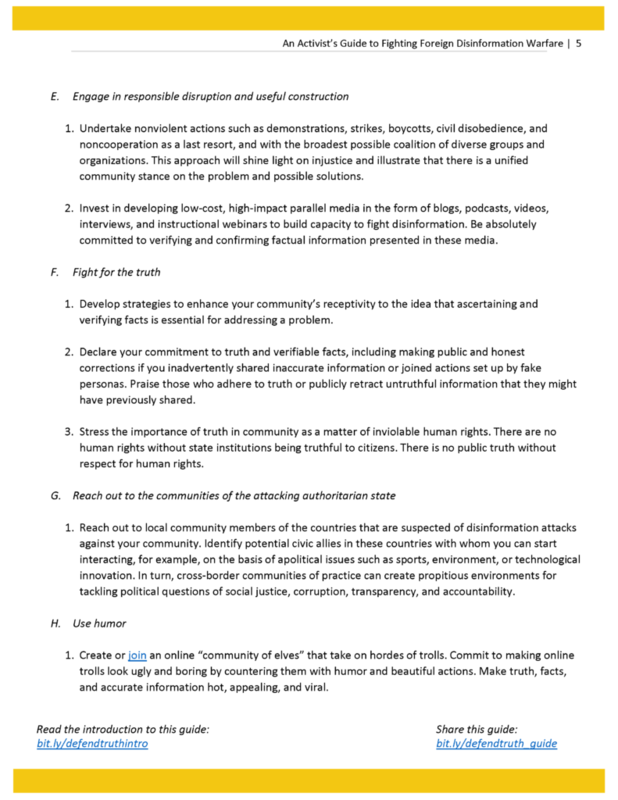 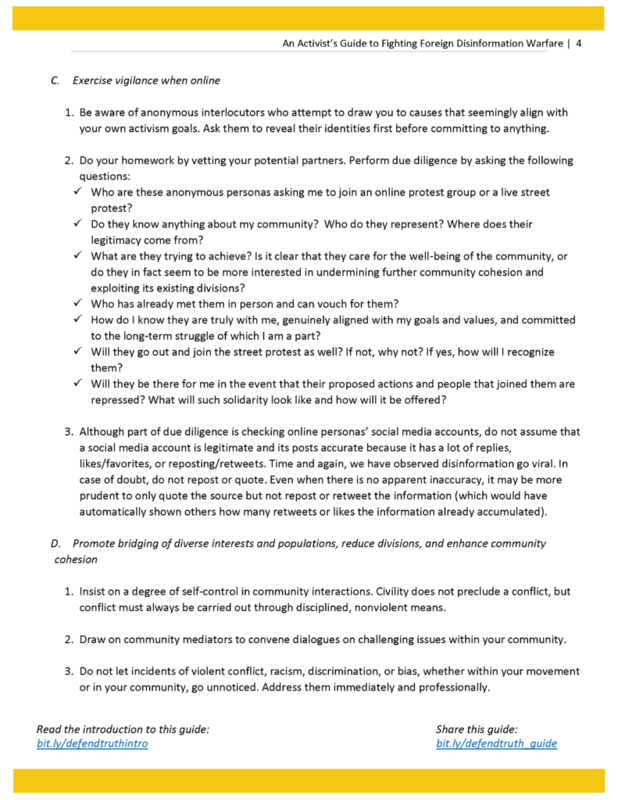 This guide aims to prepare activists to counter foreign disinformation warfare that attempts to undermine democracies. 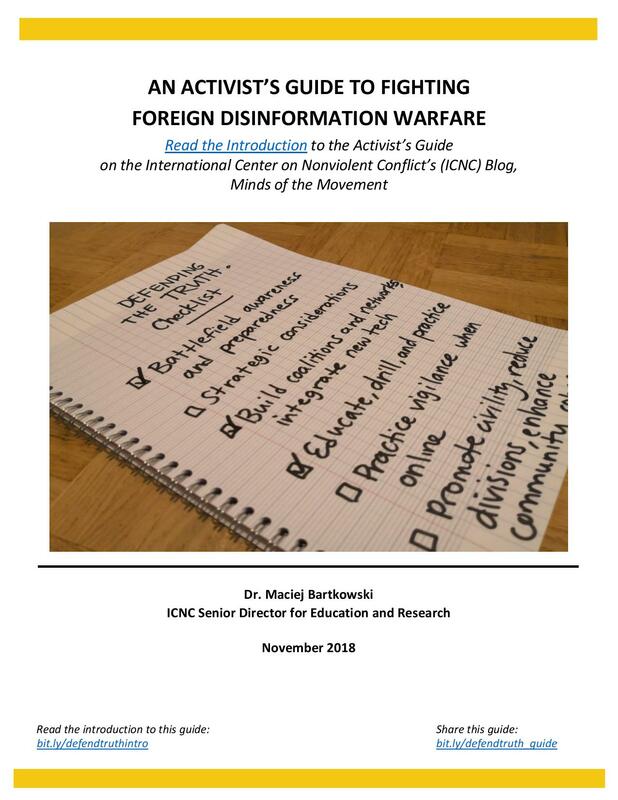 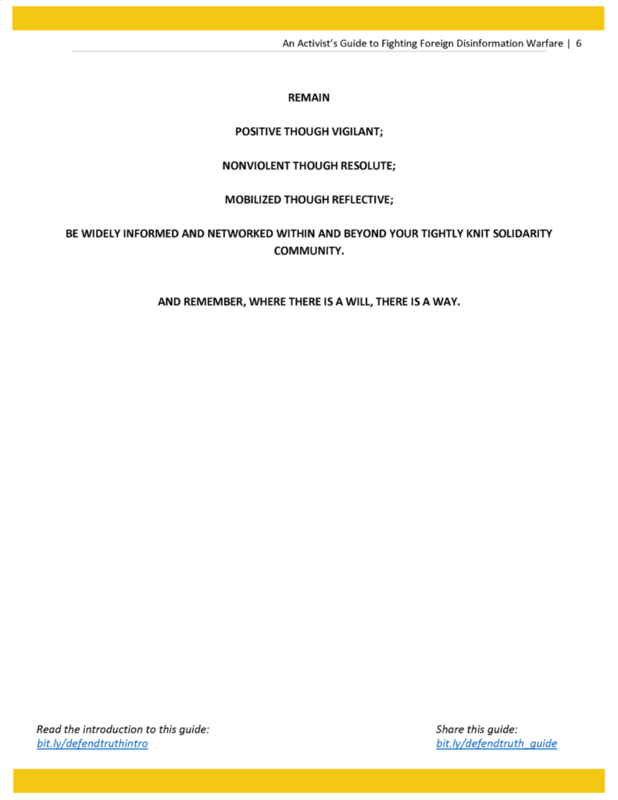 Read the Introduction to the Activist’s Guide on the International Center on Nonviolent Conflict’s (ICNC) Blog, Minds of the Movement.